When I was a child helping my grandfather pull weeds in the garden I asked him, "Papa, how can you tell the difference between a plant and a weed?" His response to me, "If you nurture it, fertilize it, water it, and it dies - it's a plant. If you pull it out, and it grows back - it's a weed." That memory still makes me smile, but I don't seem to be any better these days at recognizing the differences between many weeds and plants. Take for instance, Queen Anne's Lace, I love it! And right now it is abundantly growing all up and down the Texas roadsides. We gathered big buckets of it to use in the Shoppe and booth during this past show! 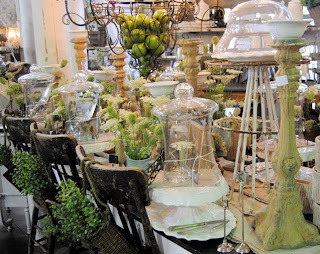 It looked so pretty in the displays and tablescapes! We had more people comment about the flowers, many were surprised to discover that it was growing wild everywhere! 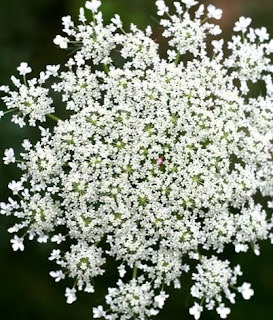 It's been said that Queen Anne's Lace is actually a weed, not a flower. The same for Daisies, another favorite of mine. Whatever the correct classification, it doesn't matter to me, I will forever refer to them as wildflowers. Aren't they just far too lovely to be called weeds? I agree with you sometimes the weeds/wildflowers are the prettiest flowers around! I love your grandfather's saying! I'd rather have a gathering of wildflowers anyday ~ the ones that grow wildly and freely are the prettiest ones. 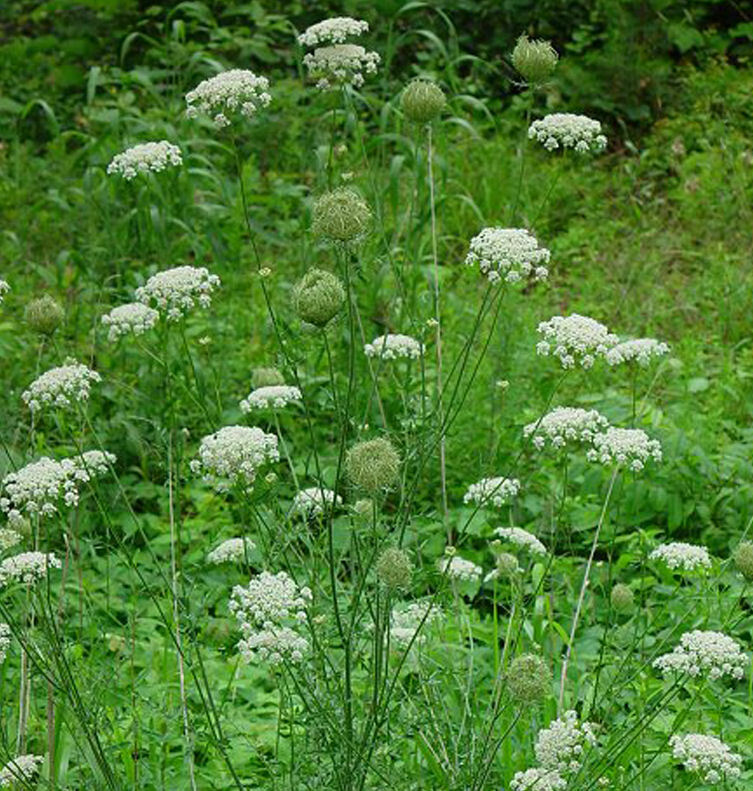 I too love Queen Anne's lace!! They are delicately elegant!! Green Willow Pond, I love that you plant the milkweed for the butterflies, how sweet and what a pay off! To be surrounded by butterflies! Theresa, that story about Max picking these for you.....just off the charts sweet! I love that! Your Grandfather was soooo right. I so agree with you! I love "wild flowers" too! In fact on today's walk with my girl I pulled a couple (root and all)of a lovely blue flower to transplant in my garden, lol. I love them! I love what your grandfather said! I agree too with:if it's pretty, it's pretty, no matter what it is! I totally agree with you. 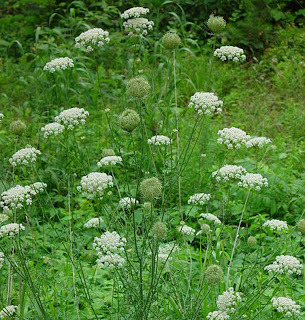 I love Queen Anne's Lace, it reminds me of my grandparent's house, I used to pick tons of it during those long Summers! our neighbor at our first home as a married couple told us , "if you want it, it's not a weed. if you don't want it, it's a weed." that has been my standard ever since! I love your grandfather's saying. That's the way it feels sometimes! Two of my favorite "weeds" as well. I just love how a big bucket of Queen's Anne Lace can add so much charm to any setting. I wish I had queen anns lace in my garden! And the table setting is once again breathtaking! You amaze me. If you ever get one extra minute, check out my new blog, I have used many items from your shop in my decorating and have some pics. Thanks for always inspiring me. Yes, I agree...they are beautiful "flowers", and your display is so lovely! Laurie, love the Queen Anne's lace, it's so pretty!!! Hope you have a wonderful week! Wow...these weed flower looks awesome. No matter they are weed but they are beautiful. Keep on posting. I am with you on the wildflowers. We have a weed that grows everywhere around here and it is pretty to me. I like to cut it and when it is dry it looks sort of like dried lavender. To each thei own. Thanks so much for stopping by and for your sweet words! I am thrilled that you becane a follower! I always love visiting your site and seeing you at the shop in Canton! You are such a sweetheart and are always so kind to my daughter and myself! We adore your shop and always find the best lovelies there! Funny, I had two weeds-or-flowers posts. I say if it looks like a flower and it acts like a flower, it's a flower. Weeds like this are usually non-native, invasive species which crowd out the natives that much wildlife depends on for seed or other parts. So it's not just a matter of being pretty...but of being impractical for sustining other forms of wildlife.